On 2nd, May, the representatives of Vietnam SongDa Group arrived in Shanghai, and paid a visiting to Zenith Shanghai Headquarter. They make a detailed learn on ZENITH office area, Machine Exhibition and Manufacturing base. 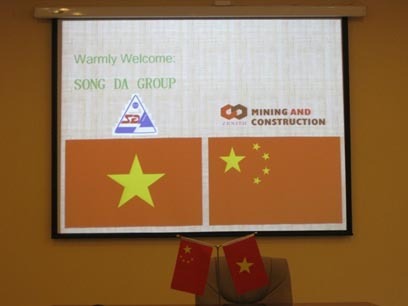 SongDa Group is the No.1 Construction Company, undertaking large-scale constructions, and supplying construction materials. Vietnam has always been one of our most important markets, especially within recent years, Vietnam domestic infrastructure construction investment becomes much stronger, roads, bridges, high buildings, which brings the rapid develop of stone making, powder making and even Iron ore exploition. 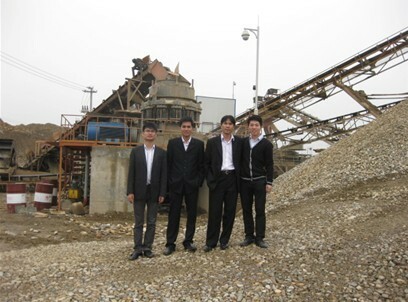 Since Zenith set up the branch in HoNoi, VN in 2007，we have offered many big capacity crushing plants. And we have established very good relationships respectively with big state-owned enterprises, and private enterprises, by offering good-stable quality machines, good installation and after-sale service. In 2008, SongDa bought a 250t/h crushing plant and operated in Hoa Binh Province. 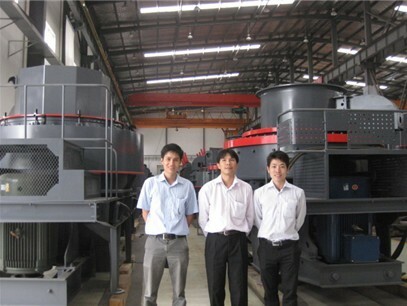 They were satisfied by our machines' stable-good quality and the after-sales service we have offered. This year Visiting by SongDa is on a 300t/h limestone crushing project, also in Hoa Binh. The two representatives of SongDa had deep and wide discussions with ZENITH Technical Engineer Representative and finally agreed on one solution. And Two Parts signed the cooperation contract on 14th May. More attention: After hearing ZENITH Engineer’s introduction of ZENITH Hydraulic Jaw Crusher, SongDa shows deep interest in ZENITH PEW Series Hydraulic Jaw Crusher. They decided to buy PEW840x1100, instead of PE900x1200. We believe this bring a new big chance for ZENITH in Vietnam.